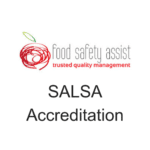 So, what is all the fuss about food safety accreditation? Are you interested but not sure? Please read on to find out some of the facts, because nobody wants to jump in somethings without knowing what’s what first. As a food business one of the best ways to meet your legal obligations and safeguard your brand is to prepare for and pass a food safety standard. By working at these standards, you are ensuring that your products are made in the best possible way and in a safe environment. If your product is good, then your reputation follows, and your brand kept intact. Why Should you go for a food safety standard? Its simple, in a nutshell, customers want reassurance. If your business is certified by a trusted organisation, then customers will have more trust in you. In the UK, most food companies now prepare for either BRC (British Retail Consortium) or SALSA. SALSA is aimed at micro to small producers and is only relevant in the UK. BRC Global Standards are mostly for larger companies. However, smaller companies may still be required to have BRC as an entry to trading with a retailer or foodservice chain, for example. 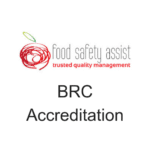 A lot of food business’ employ a food safety consultant to assist in managing the process of being ready to pass an audit, keep the created system up to date and provide on going support on all food safety issues; if needed. Working with a mentor should speed up the whole process and help keep a focus on the rewards that can be gained once you have that certified logo stamp.